This fine diamond bracelet is made in 18ct white gold and is hand set with 21 sparkling diamonds with a total carat weight of 0.16 ct. 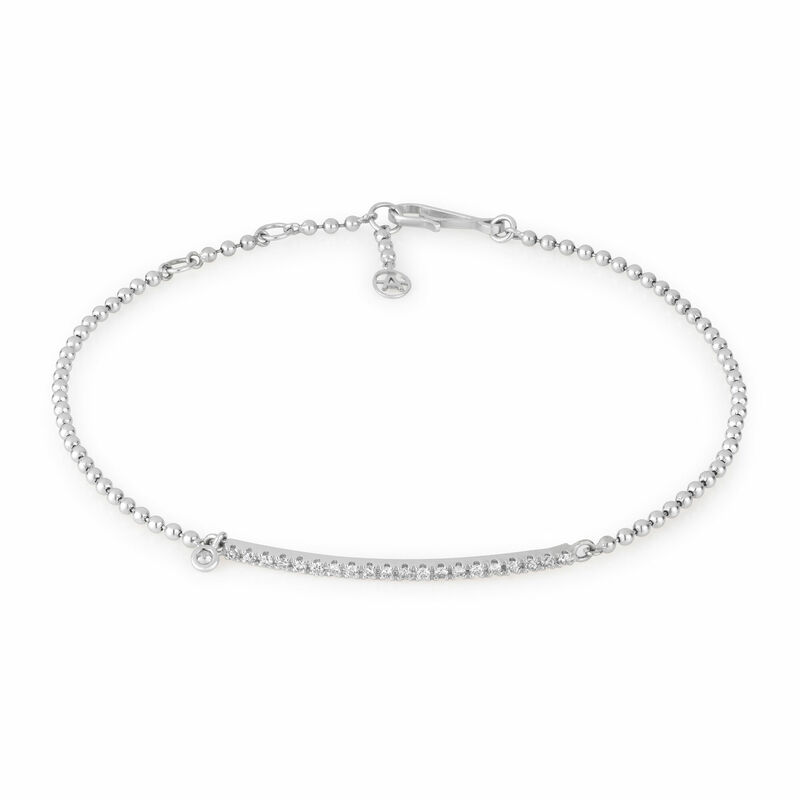 Designed with a high polish finish and a fuss free sprung clasp, this bracelet has an alterable chain length between 15-17 cm with a miniature 'A' cascading below. 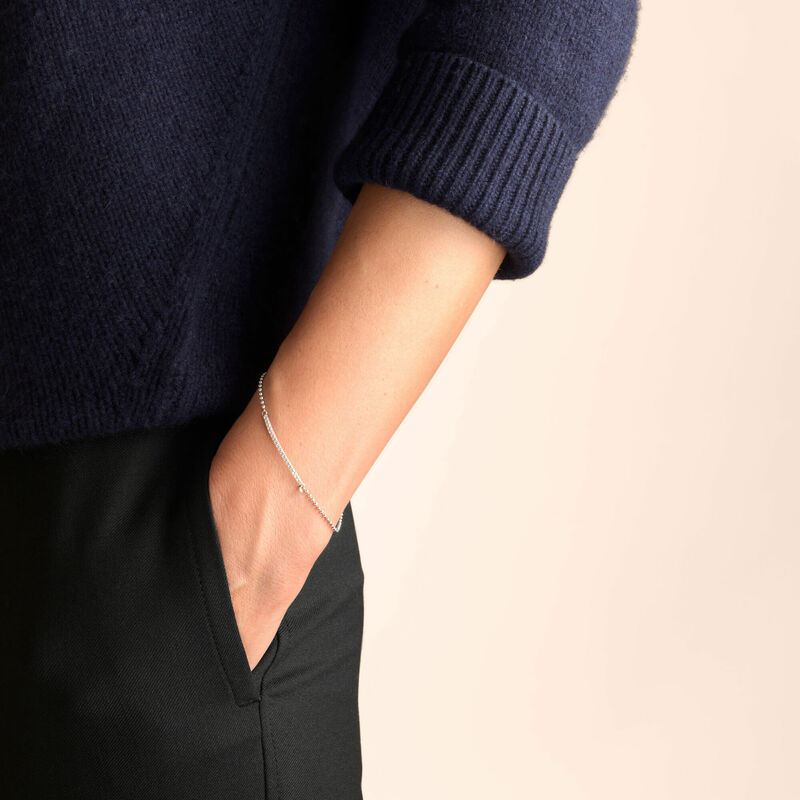 Wear with the Fine Line Stud Earrings and Necklace to complete the look.